Best World Music Album: The Recording Academy bestows Ravi Shankar a 55th GRAMMY® Award in the Best World Music Album Category for his album The Living Room Sessions Part 1. The 55th GRAMMY® Award Winners in 81 specific categories were announced during a live presentation ceremony. The show publicized as “Music’s Biggest Night” aired live during a televised broadcast on the CBS Television Network. The ceremony held at the Staples Center in Los Angeles, California on February 10, 2013 included a series of show performances while honoring top artists for their achievements by one or more awards of 81 total Best Album Award categories. Selected Best World Music Album in category #51, a Music Award was bestowed to Ravi Shankar posthumously. Award recipients in all categories were determined by voting members of the National Academy of Recording Arts and Sciences. Ravi Shankar won the Best World Music Album GRAMMY® Award for his album titled The Living Room Sessions Part 1. 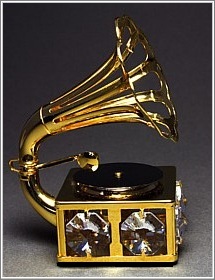 The GRAMMY® Awards first inaugurated in 1959 was formed to recognize artists for their achievements in the music recording industry. To give you an idea how popular this awards presentation has become, the Annual Music Awards is ranked in viewership popularity as one of the highest rated television special programs. Last year’s televised live Annual Music Awards ceremony reported 39.9 million viewers worldwide. The prime-time awards presentation in 2013 with an equally long list of popular celebrities who performed live during the presentation ceremony is expected to be another record breaking year for television viewership. The four additional nominees and their albums in the 55th Music Awards for Best World Music Album are: Folila by Amadou & Mariam, On A Gentle Island Breeze by Daniel Ho, Jabulani by Hugh Masekela and Traveller by Anoushka Shankar. For album reviews and interviews with additional Award-Winning and Nominated artists at this site find further reading and information on my main pages. To sample or purchase The Living Room Session Part 1 album visit RaviShankar.org. 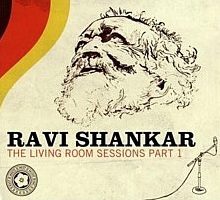 You may also sample or purchase The Living Room Session Part 1 at the store page for Ravi Shankar at Amazon.com. To read the complete list of award-winning artists, including all award-nominees in all 81 Best Album Categories visit Grammy.com. Cover art and photo are courtesy ravishankar.org. & Big Stock Photo – AnmFoto.